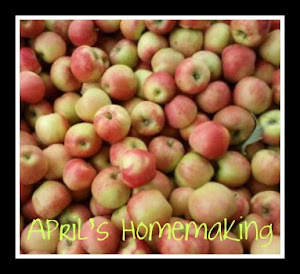 This week I am blogging all of my Simply Sunday School lessons that we have been learning this fall in my Sunday school class. 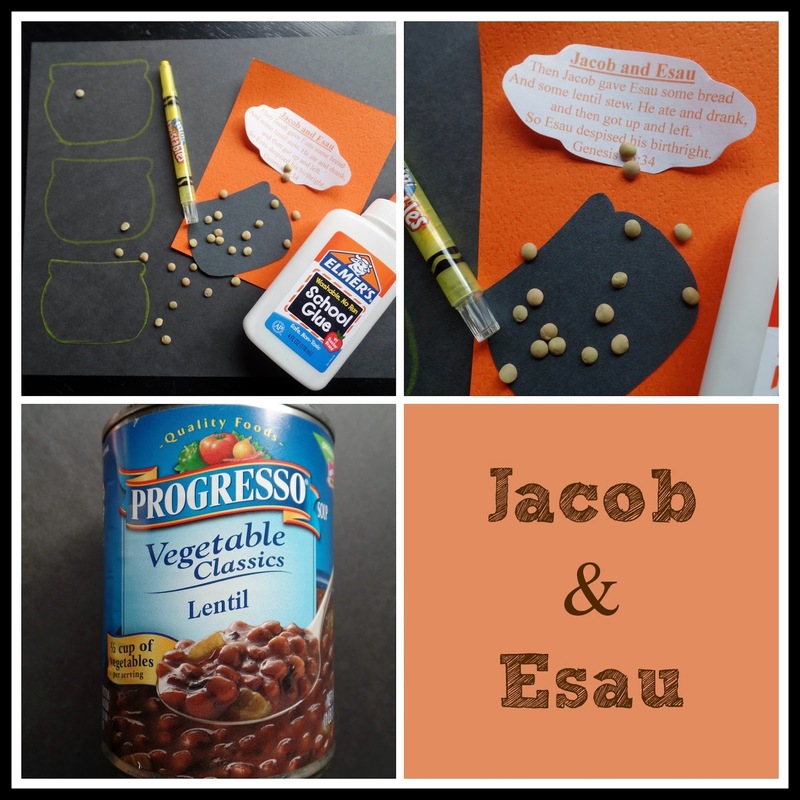 My last post was about The Tower of Babel and Abraham, the next two lessons we learned about were Jacob and Esau and then Joseph and His Coat of Many Colors. Here's what we did. 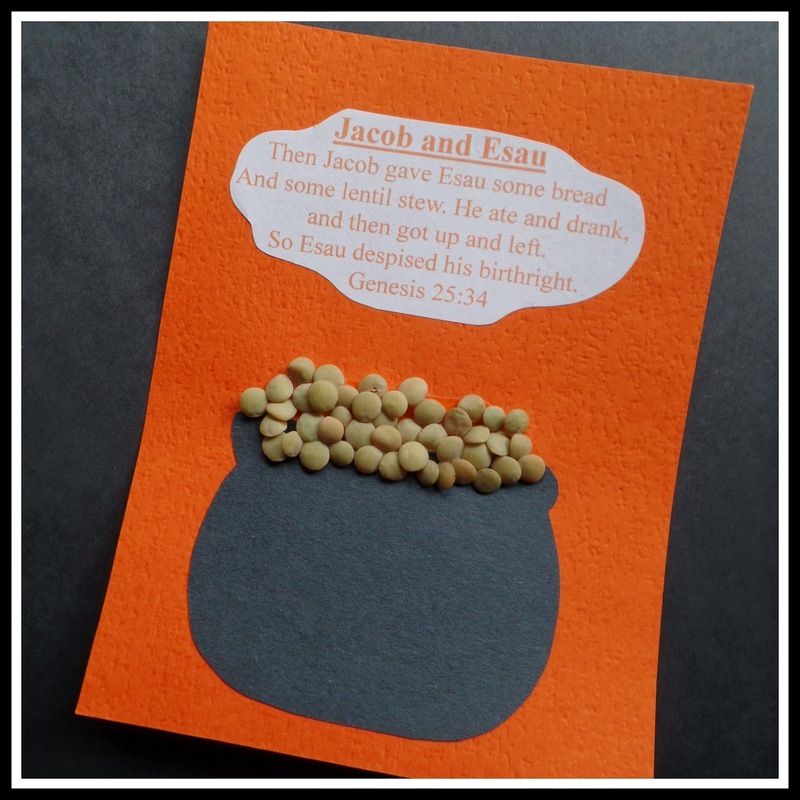 The story of Jacob and Esau can be found in Genesis 25:19 through Genesis 33, I told a simplified version of this story that told about Jacob and Esau being the children of Isaac and Rebekah, and then the story of how Esau sold his birthright for a bowl of lentil stew and bread, and how Jacob dressed up like Esau to receive Issac's blessing. For snack time we had Lentil soup, so my students could taste something similar to the Lentil Stew in our Story. For ease of transportation and preparation I chose to bring canned soup, I don't buy much canned soup, as I love making my own, but I have always enjoyed Progresso's Lentil Soup. 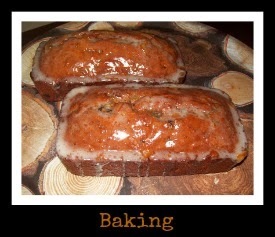 I served it in heat proof cups, with soft Hawaiian Rolls, which the students really loved. I was happily surprised how all of my students tried the soup and really enjoyed it, knowing how kids' tastes can sometimes be, I was not sure what they would think about this soup, but most of them ate it right up, and thought it was a fun snack time. 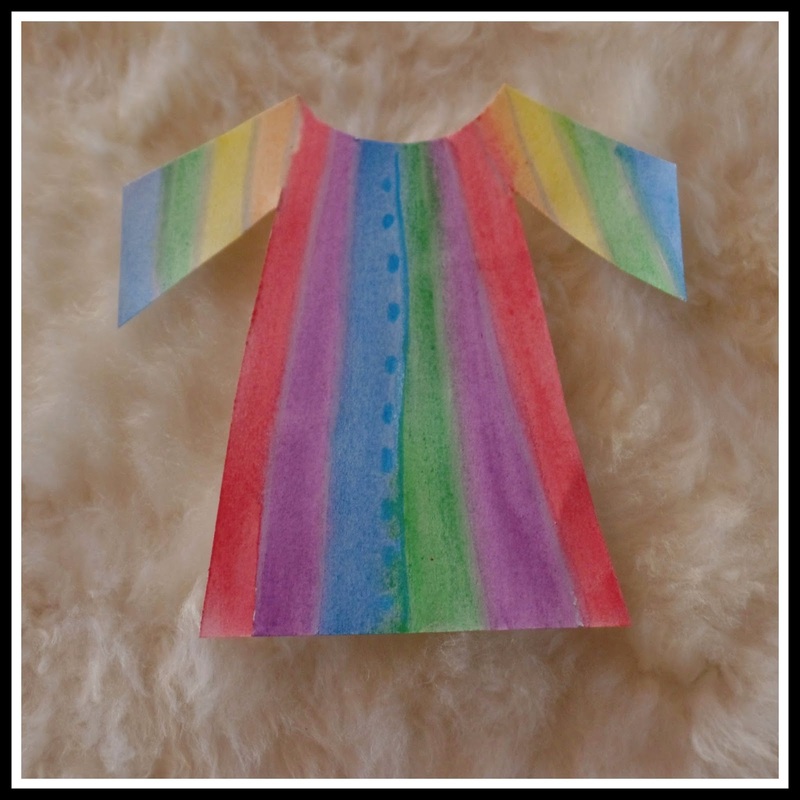 The story of Joseph and His Coat of Many colors can be found in Genesis Chapter 37 and goes to about chapter 47. 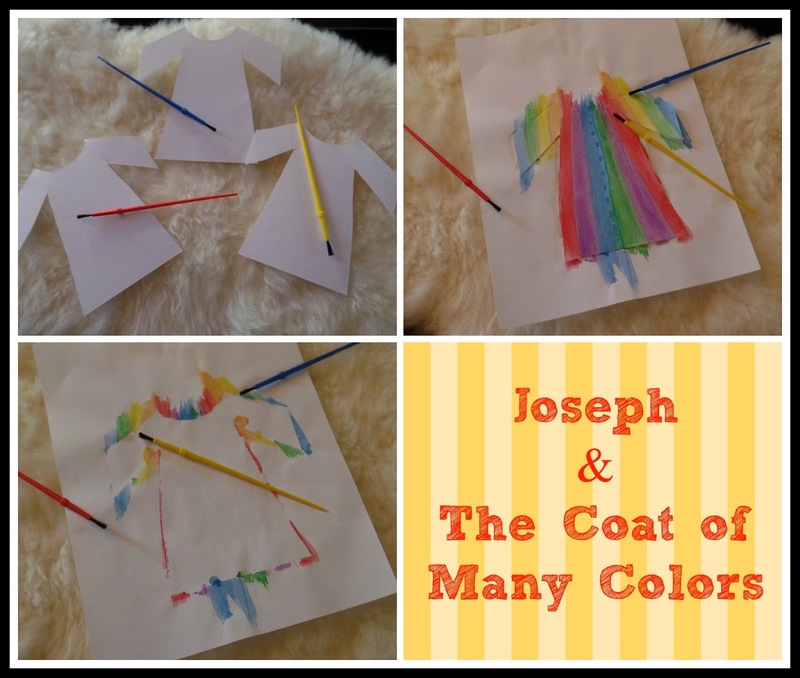 I told a simplified version based on these chapters, who Joseph was, about his brothers, and how he was Jacob's favorite and his father gifting him with his colorful coat. About Joseph and his dreams, and his brothers being jealous and selling Joseph, how Joseph ended up in Egypt and eventually held a high position for the pharaoh, and prepared for a famine, and eventually years later reconnected with his family. 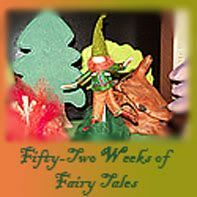 Since there is so much to the story of Joseph, rather than reading it straight from the Bible, you could read it from your favorite children's Bible, or learn the story and tell a simplified version. For our craft I thought water colors would be a fun way to decorate Joseph's coat. I folded a 12 x12 sheet of white cardstock into quarters, and traced a simple coat shape onto it, then cut out all of the coat shapes. Before we painted I had the children draw stripes with white, silver, or any very light colored crayon, to act as a guide for the water colors. Then we set the coat shape on a plain sheet of white paper to protect the table, and painted colorful coats. Watercolors are always a hit in my class, and each coat turned out unique and very colorful. 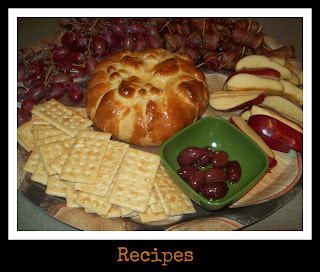 We set them out to dry, and worked on some Joseph worksheets and had our snack. So that ends what we did in our Sunday school class during September and October. This November we are spending the whole month learning about Moses, then on to our lessons leading up to Christmas. 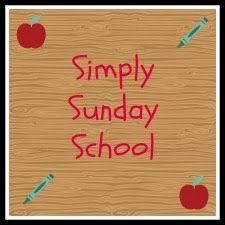 You may want to check out more of my Simply Sunday School Lessons at the Link below.